I can never have enough buddy cop movies, and 2 Guns is easily one of the best to come out of Hollywood in a great long while. It was so perfectly aligned with the formula for the sub-genre that I felt inspired to have a Lethal Weapon marathon after watching 2 Guns. There are few surprises in 2 Guns, but it serves its purpose with expert marksmanship. The jokes land and the bullets fly with tenacity and confidence that can only come from a truly skilled director and a cast so talented that their performances always appear natural. Icelandic director Baltasar Kormákur proved his abilities with suspenseful action with the surprising first-quarter release, Contraband, which has an action hero of sorts (played by Mark Wahlberg) who doesn’t use a gun to accomplish his goals. 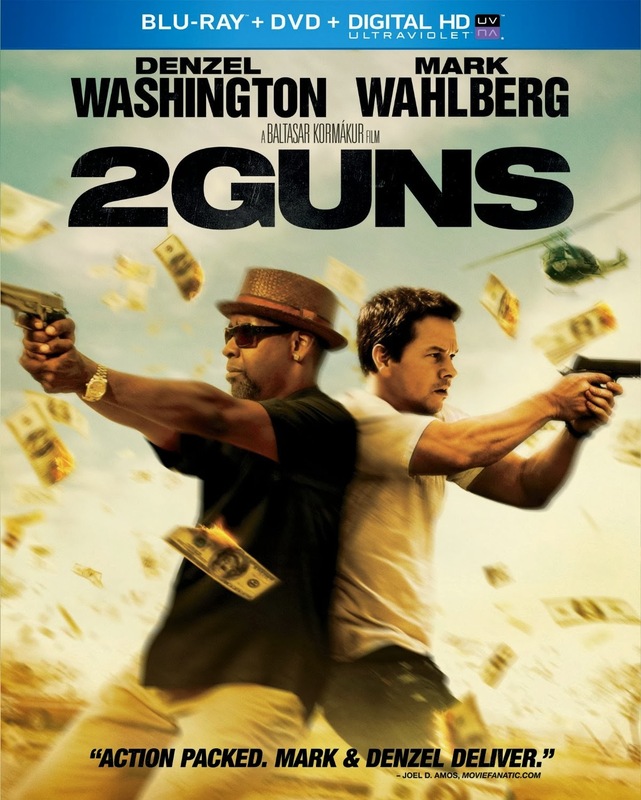 2 Guns puts a gun in just about everybody’s hand, and blows up most of the vehicles in the film. There is a great deal of action, predictable twists and turns and very little original. Pair this with the dynamic performances by co-stars Wahlberg and Denzel Washington, practical effects and minimal CGI and you have the formula for a summer blockbuster better than all of the assortments of super-hero films. The one original strand in the storyline of 2 Guns is the fact that there are very few bad guys in the movie. Although the film begins with two separate agencies attempting to take down a drug cartel, they end up being far less menacing than the film’s main villains; the CIA. There are many different sides in the movie, but none are as simple as good guys and bad guys, as most every significant character works for a variety of government agencies. This is more of a film about the good guys fighting the good guys, though nearly all of them appear bad people hiding behind their position of power. Exclusive to the Blu-ray are three featurettes about the making of 2 Guns, however superficial they may be. The more impressive features are actually available on both DVD and Blu-ray, including deleted and extended scenes, a featurette about the film’s action sequences, and a commentary track with Kormákur and producer Adam Siegel. The combo pack includes a Blu-ray, DVD and digital copy.